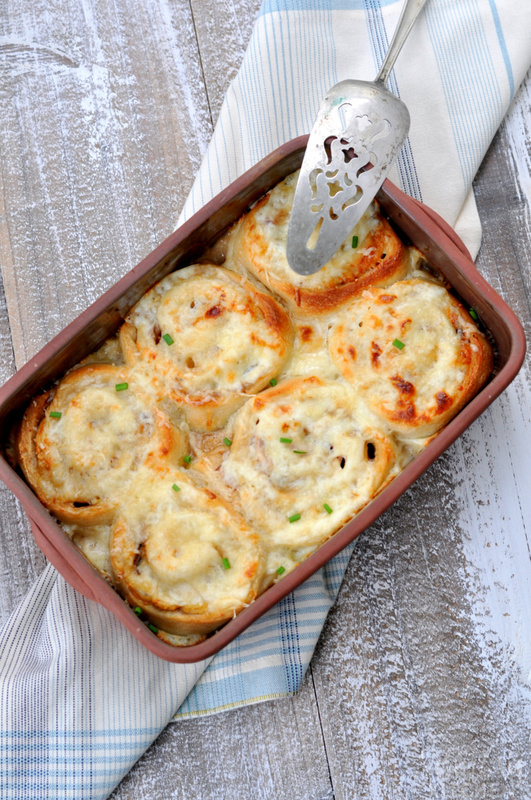 These Croque Monsieur Roll-Ups are perfect for serving a crowd and are so easy to make! I start with a premade pizza crust to make super simple. You could also use crescent dough rolled into a sheet. 1. Preheat oven to 400 degrees. Lightly grease a baking dish. Set aside. 2. Melt butter in a medium saucepan over medium heat. Stir in flour and cook for one minute. Slowly add in milk, stirring constantly, to flour mixture. Stir in salt and pepper. Simmer for 5 minutes, stirring constantly, until thickened. Remove from heat and stir in 1/2 cup shredded Gruyere and 1/2 cup grated Parmesan cheese. 3. Roll out pizza crust. Spread with mayonnaise and Dijon mustard. Top with ham slices. Sprinkle with 1 cup shredded Gruyere cheese. Roll up to create a log. Slice into 2 inch slices and place in prepared baking sheet. Pour cheese sauce over top. Top with remaining shredded Gruyere cheese. 4. Cover with foil and bake for 15 minutes. Remove foil and bake for an additional 5-10 minutes or until lightly browned and cheese is bubbly. These are perfect for a Super Bowl party or as a great lunch with a bowl of soup. 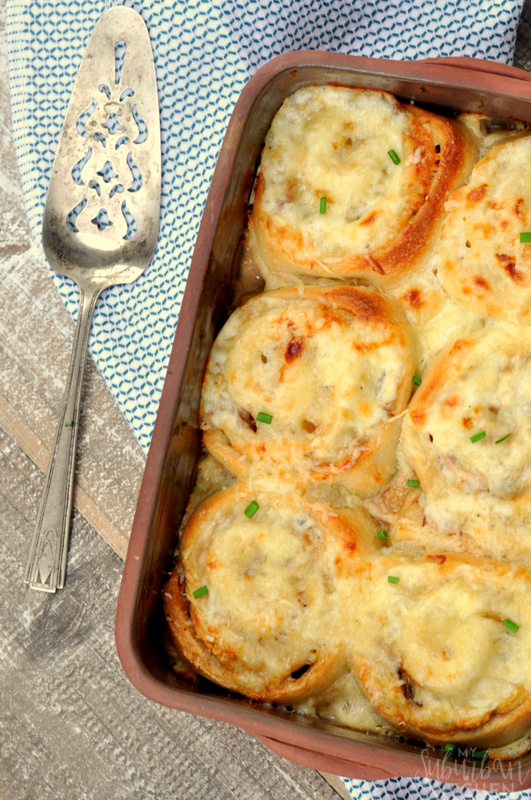 My family asks them to make these Croque Monsieur Roll-Ups all the time now and I always agree because I love them too. Preheat oven to 400 degrees. Lightly grease a baking dish. Set aside. Melt butter in a medium saucepan over medium heat. Stir in flour and cook for one minute.Slowly add in milk, stirring constantly, to flour mixture. Stir in salt and pepper. Simmer for 5 minutes, stirring constantly, until thickened. Remove from heat and stir in 1/2 cup shredded Gruyere and 1/2 cup grated Parmesan cheese. Roll out pizza crust. Spread with mayonnaise and Dijon mustard. Top with ham slices. Sprinkle with 1 cup shredded Gruyere cheese. Roll up to create a log. Slice into 2 inch slices and place in prepared baking sheet. Pour cheese sauce over top. Top with remaining shredded Gruyere cheese. Cover with foil and bake for 15 minutes. Remove foil and bake for an additional 5-10 minutes or until lightly browned and cheese is bubbly. Wow! 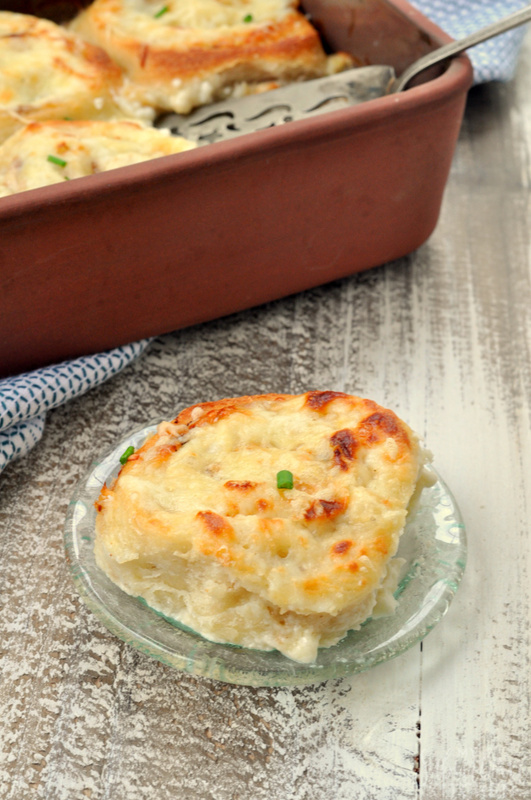 I just love croque monsieur, and with the pizza dough, I bet it’s even more delicious. My favorite French sandwich is the croque madame, it’s amazing with that extra egg on top.